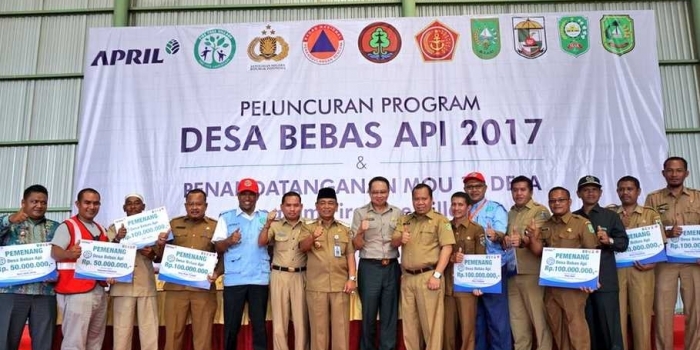 Building on the successes of the inaugural Fire-Free Village Programme, APRIL Group announced that the programme will be expanded to include 20 villages in 2016. 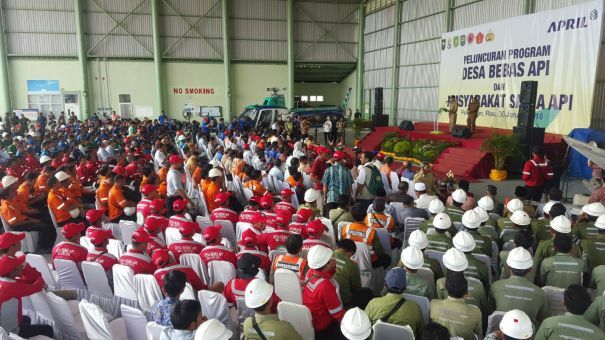 These villages, from Pelalawan, Siak and Meranti, are joined by an additional 55 villages participating in the Fire Aware Community programme. The Fire-Free Village Programme was first launched in July 2015 and had nine participating villages. Its impact was significant, with the villages seeing a 90 per cent reduction of area burnt by fire from 2014 to 2015. 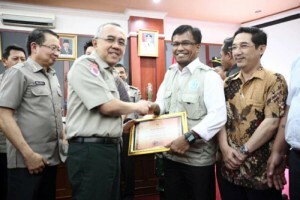 APRIL Group Managing Director Indonesia Operations, Tony Wenas highlighted the combination of factors contributing to the success of the programme: Village-level partnership and collaboration, education, and incentives to support social and economic development. In actively championing fire-free villages, APRIL Group provides communities with machinery for land clearing as a fire-free alternative. 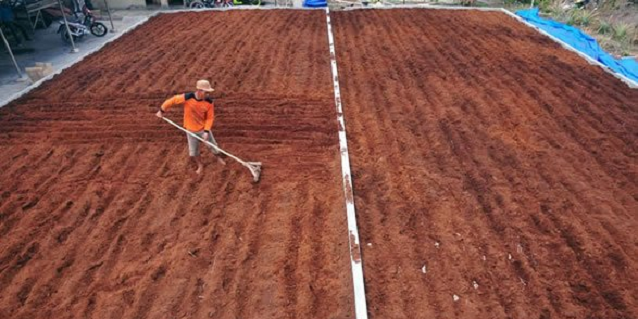 Due diligence is exercised to ensure the land to be cleared is legally owned. 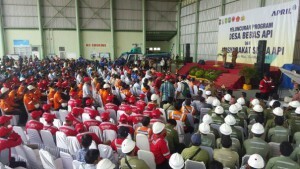 APRIL Group deploys its teams to raise fire awareness in the communities. The cultivation and presence of fire crew leaders also played a key part in the success of the programme. A member of the village is selected for fire crew leader training and is better positioned to convey and enforce the no-burn message in the village. APRIL Group’s comprehensive approach to community-focused fire prevention has welcomed promising results. It also continues to play a leading role in strengthening governance in fire-free communities, combining development, best practices, multi-stakeholder engagement and empowerment with business efficiency. 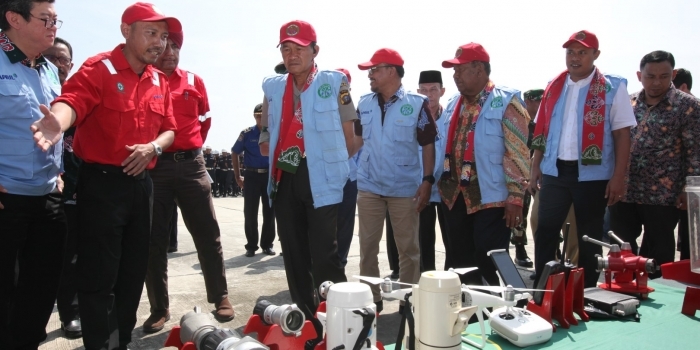 The Fire-Free Village Programme’s expansion and ramped up community fire prevention awareness come at a time when Riau is said to enter the dry season. PT RAPP (APRIL Group’s Indonesia operations) director Rudi Fajar identified another success factor in community empowerment, which has led to villages making headway in fire prevention. 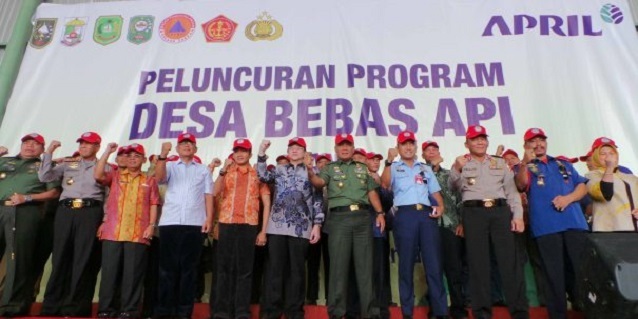 Collaboration between the village, state authorities, NGOs and APRIL Group remains integral to empowering communities and APRIL Group hopes that this model can be scaled to mitigate the illegal fire and haze risk.